The Hank Johnson Trio is available for fund raisers, concerts, work-shops, jazz clinics, promotional events, fashion shows, industrial shows, and just about any place good music is required. The trio consists of Hank Johnson on piano, Gary Smith on drums, and "Cool" Mike Fitzbenjamin on bass. We invite you to let us know the musical requirements of your event, so we can prepare an exclusive musical package for you. In addition to the basic trio, other instruments and vocalists can be added to lend another dimension to the ensemble. Live music always adds class to an affair. It will leave an impression of distinction, and memories that will last for years. Here are some places Hank has played recently: This is what you missed! 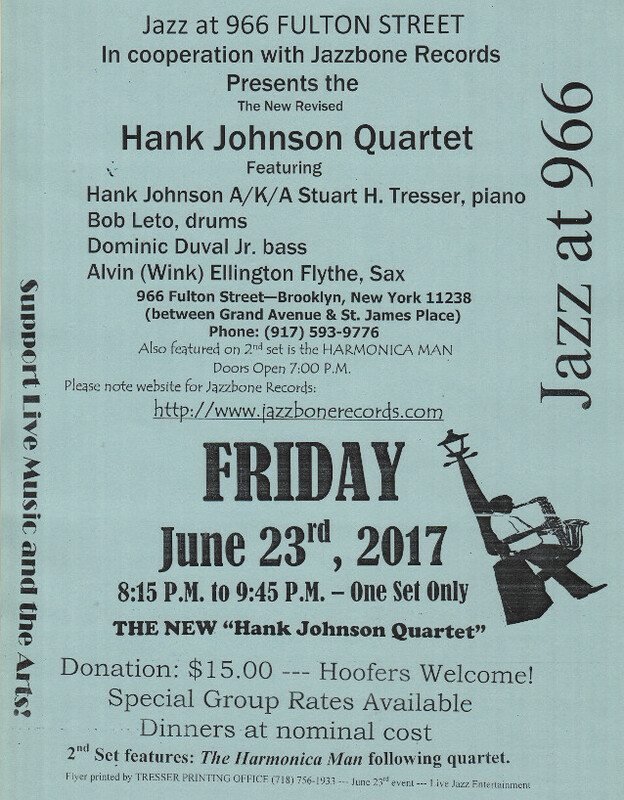 Now let's meet the other members of the Hank Johnson Trio. On the right is the bassist, "Cool" Mike Fitzbenjamin. 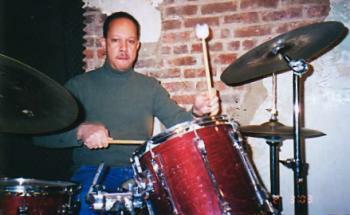 Below is the drummer/percussionist, Gary Smith. Mike Fitzbenjamin, also known as "Cool Mike", is an exceptional, versatile bassist with "elephant ears"! Like a chip off of the old block, Mike was greatly influenced by his father, the late Morris Fitzbenjamin, an accomplished, professional bassist. Mike began studying the bass violin when he was in junior high school, and continued to study and play professionally throughout his college years. When Mike was 15, a well known bassist, Peck Morrison, heard him play at the Village Door Supper Club in Jamaica, Queens, NY, and asked him to fill in when his dad could not make the gig. Mike's ears were so accurate that everywhere jazz pianist Hank Edmonds went harmonically, Mike was there with the correct notes, and provided wonderful bass lines that could complement any pianist. 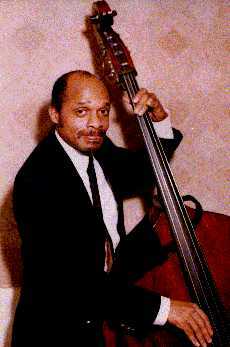 Lloyd Buchanan, the regular bassist with the Hank Edmonds Trio, always smiled and allowed Mike to sit in to give Lloyd "some jelly". Some fine musicians that Mike has performed with include: Isaac ben Ayala, Gilly Coggins, Al Walker, Hank Johnson, Hank Edmonds, Stuart H. Tresser, John Hicks, Ron Brown, Walter Perkins, Count Staten, Doug Gould, Butch Bateman, Charles I. Williams, Lee Green, Albert Daly, Jason Lindo, Don Sands, Billy Mitchell, Wes Belcamp, Goosey Celestine and many, many others. Mike has recorded for the Jazzbone Records label, and his fine work on bass is illustrated when he plays, and swings, and grooves with THE HANK JOHNSON TRIO! Gary Smith started his musical career during the early 70's. Popular groups during that time which were a great influence were Earth, Wind & Fire, Chicago, Blood, Sweat & Tears and James Brown. For two decades, groups like these influenced and shaped the direction for various artists in the 90's. During the 70's and 80's, Gary worked with such groups such as Kashmir, The African Poetry Theatre and the Starlight Orchestra, which were a reinforcement of his early influences. In 1984, he started a group called JAZZ IMPROMPTU which would change his ideas and direction in music. JAZZ IMPROMPTU was a traditional straight ahead jazz ensemble. The idea of the group was to play straight ahead standards, but give all of the members an opportunity to express themselves and contribute to the music. This project became a catalyst for other associations such as with pianist DUKE PEARSON, GILBERT (Gilly) COGGINS and tenor saxaphonist COLEMAN HOPPIN. By 1990, jazz became his central focus and continues with his involvement and association with THE HANK JOHNSON TRIO.